On November 4th 2016 the Paris Agreement entered into force. The warming of the climate system, first recognized over a century ago, has become one of the key political and social issues of our time. 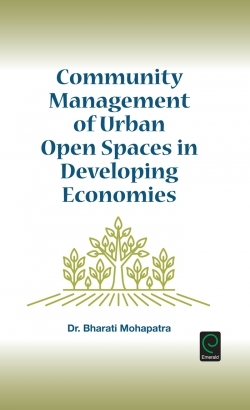 Some still deny it is happening, others are incensed by the slow pace of change, while most are left confused and uncertain not just by the science, but by the panoply of solutions put forward by politicians, business people, academics and activists. At its most ambitious, the Paris Agreement implies a transition within the global energy system such that carbon dioxide emissions fall rapidly from 40 billion tonnes per annum in 2016, to net-zero by the middle of the century. Yet our fossil fuel based energy system which ushered in the Industrial Revolution nearly 200 years ago continues to grow and evolve even as new sources of energy come into the market and compete. The principal economic instrument for change is clear and has been for over two decades, but in 2017 only a fraction of the global economy actively employs government led carbon pricing policies and within that only a handful of systems operate at a level commensurate with the pace and scale of change that is necessary. As deployment of new energy technologies accelerates, can solutions be found to cover the full range of services delivered by fossil fuels and can warming be limited to the agreed global goals? 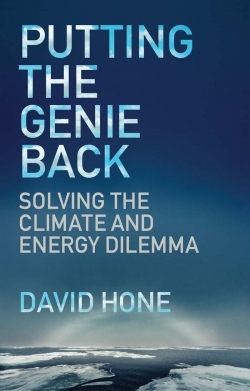 Putting the Genie Back explores the climate issue from its very beginnings through to the end of end of the 21st Century and looks in depth at the transition challenge we collectively face. 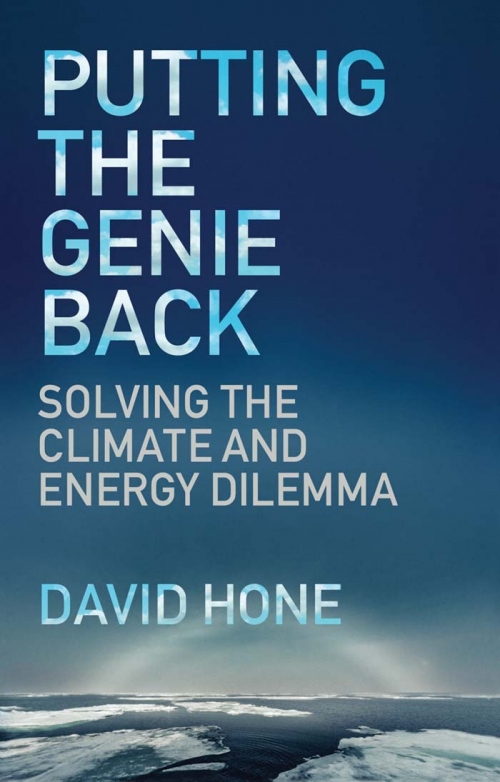 David Hone is Chief Climate Change Advisor at Shell International Ltd. He joined Shell in 1980 after graduating as a Chemical Engineer from the University of Adelaide in Australia, and previously held positions in refinery technology, oil trading and shipping areas for Shell. 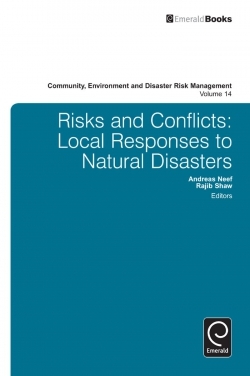 David has been the principal climate change adviser for Shell since 2001 and has represented the company in that capacity in a wide variety of forums. He is a board member of the International Emissions Trading Association (IETA), was Chairman of IETA from 2011-2013 and is a board member of the Center for Climate and Energy Solutions (C2ES) in Washington.